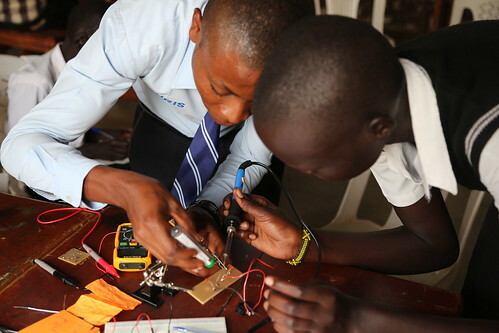 Providing Access to Skills and Knowledge in the form of a multi-functional Open Tech Emergency Case gives rural and urban innovators a new point of entrance for understanding the basics in a range of vocational skills from soldering, building simple devices to the handling of important yet often specialised tools that in these regions are normally hard to come by. If you shop via smile.amazon.de/ch/27-612-03732 we receive 0.5% of the price you pay for each item; no extra fees apply..
We are always looking for likeminded people and organisations to work with towards our mission of ‘open knowledge for open societies’; just contact us. You can do an internship over a 6 to 8 weeks period. Upon availability, we offer desk space for likeminded individuals and organisations to develop project plans and strategies together. Explore our current partner gallery.